When you pop into a local barber shop to have your hair styled in preparation for a big night out or to look your best, you may not give too much thought or consideration to the history of the barber profession. You may be surprised to know that there is a huge history involved with this profession and it hasn’t only been about cutting back. In certain times in history, you would be as likely to visit a barber with an illness or an ailment as you would in the hope of getting a short back and sides! Historical evidence dating back to the Bronze Age, which is dated around 3500 BC in Ancient Egypt suggests that barbers equipment and razors were a large of the culture at the time. It is believed that barbers were actually medical men and high priests who provided assistance in removing evil spirits from people. It has to be remembered that this was a very different time with people believing very much in these elements. It was felt that if a person was possessed, the best way to rid a body of an evil spirit was to cut the body open and release the body that way. This was left to the barbers using their razors and sharp elements. Due to the fact that barbers were held in such high spiritual and religious regard, they often carried out ceremonies which are akin to weddings and baptisms. It is fair to say that the modern barber is very much removed from the Ancient Egyptian take on the profession but there are similarities that can be found which suggests it is a continuous line from this era to the modern day. The main cutting of the hair part of the process was carried out to symbolically close off the body to evil spirits. Barbers were also around in Ancient Greek times when men would visit a barber to have their beards, their hair and even their fingernails trimmed. If women think that they have been utilising the benefits of beauty salons for a number of decades, they have nothing on the length of time that men have been receiving these services! The Romans also placed a great emphasis on styling with a trip to the barber for a trim and shave being a huge part of social life in these times. Over the years, barbers would perform tasks that are commonly associated with surgeons and dentists! It is widely believed that the red and white pole now commonly associated with barbers draws from this era. It is suggested that the red element of the pole would indicate that the professional would carry out the medical elements (red for the drawing of blood) while the white element stood for the barber element. Some more gruesome retellings of the evolution of the barber’s pole suggests that the practice developed from barbers airing the blood stained bandages outside their premises with the wind eventually wrapping them around a pole. This would lead to a red and white swirl effect, which of course is the modern day symbol for a barber. The modern day barber style started to filter in at the end of the 18th century but it was during the 19th century that the evolution of the modern barber shop took place. 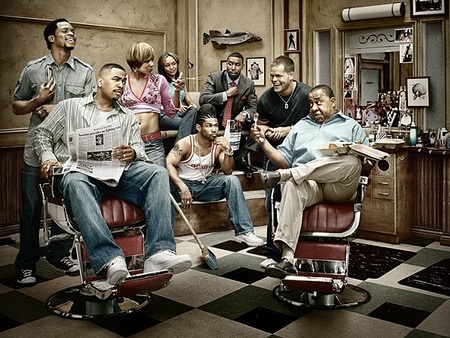 The barbers became a place where men would socialise and come to hear the latest news. Looking good was becoming increasingly important and many men were going to the barbers every week or every couple of weeks to ensure that their hair was neatly trimmed and looking sharp, and it is against this backdrop that the 20th century saw the rise of Wahl clippers, to become one of the leading pieces of barber's equipment. At the end of the 19th century, a barber school opened up in Chicago and it was a rousing success. Branches of the school opened up across the US and there was a general level of teaching and capabilities of barber work across the US. It took around 30 years for the barber shop industry to become truly professional but the creation of standards and proper teaching were a huge factor in the professionalism of this industry. Even though some people fear for the modern day barber industry, there is no doubt that there is still a huge demand for good quality haircuts and the best hair care products. Modern barbers have had to move with the times but at least now they only have to focus on cutting hair and not warding a body of evil spirits.